A constituent part of ATHENA is the complete sheet editing program for the quicker design of sheets with the associated developments. 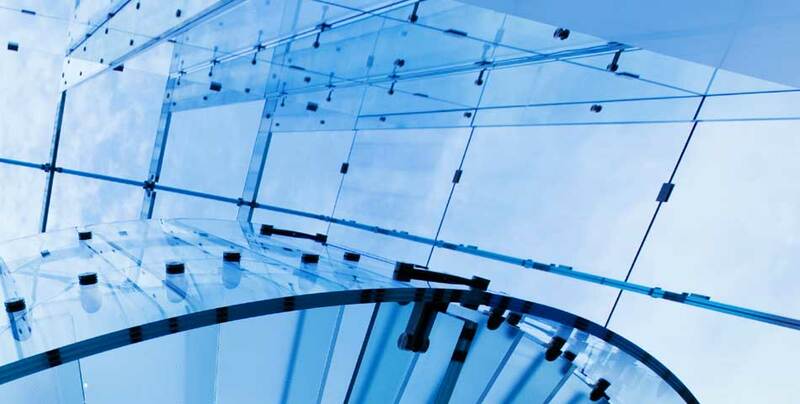 Basic data, such as for example, sheet thickness and bending radius, form the basis of the sheet to be designed. 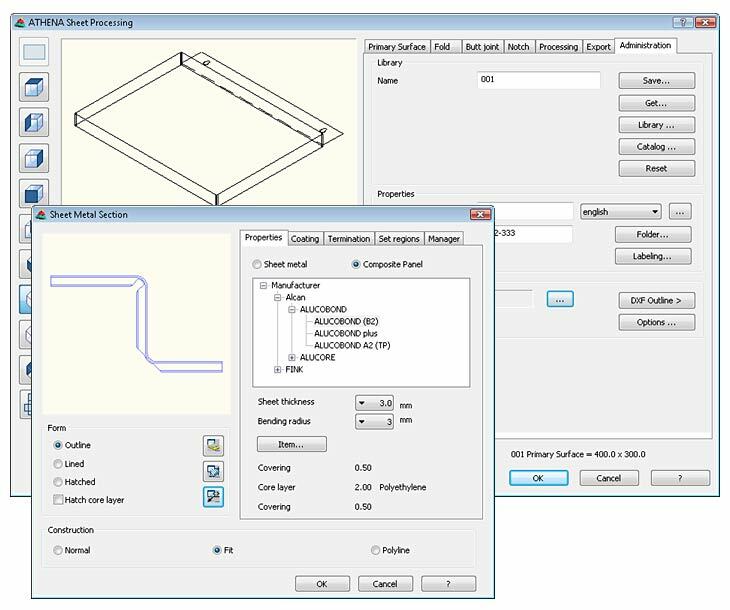 The basic shape is applied to the sheet via a dialog box or from a free ATHENA sheet contour. Then, the various edges are set and copied in the easiest way to adjacent or opposite sides. Many different types of joint are available for the folds. Folds appended to a primary surface can be cropped and beveled with an angle. 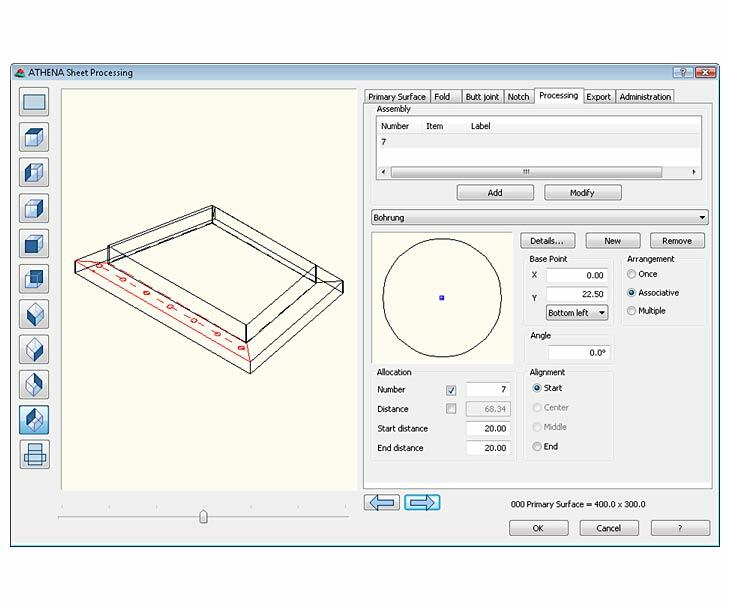 Visual checks of the sheet shape via the dynamic 3D viewer ensure error-free working. 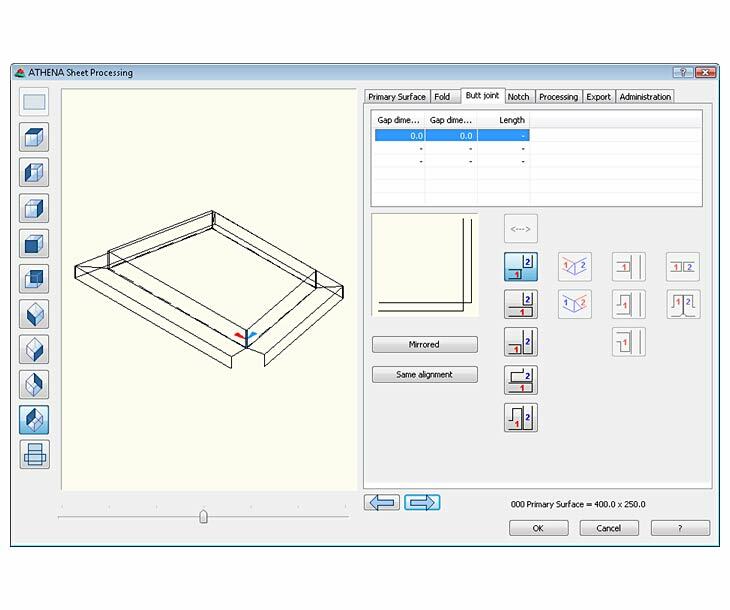 Holes or punch-outs can be set in the sheet body at any time. There are basic shapes such as circles, rectangles or free contours available for this purpose. Customized contours can be generated and saved in a library for reuse. The editing processes can be set absolute or associative and rows of punch outs are also possible. The description of the joint formation, which is important for the development, is easily entered in a dialog box, e.g., the gap dimension and nature of the corners of the fold. The computation of the development occurs according to the factor tables normally used in metal construction and can be saved as required. 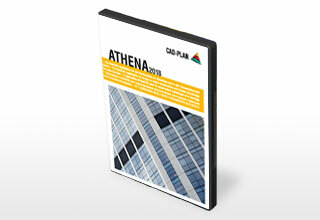 The produced sheet can be inserted into ATHENA as a development or 3D model. The development can also be saved as a DXF file or transferred to MS Excel. 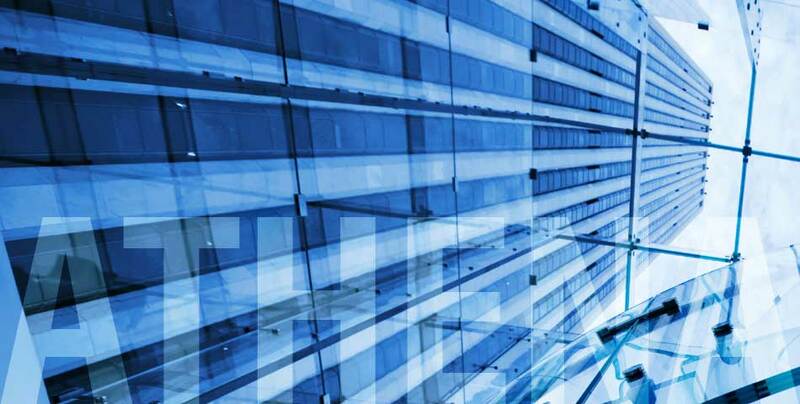 Apart from normal sheets, composite panels can be processed, e.g., Alucobond and Reynobond. Various types of joint are also available. 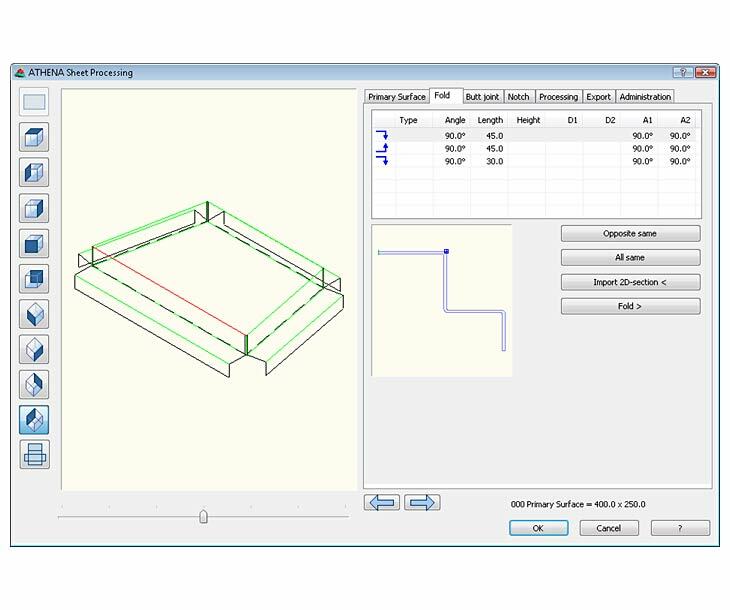 CAD-PLAN GmbH wanted more accurate facts and carried out a survey of its customers. As we were judged, you will find out here! We will be happy to provide you with a trial version of ATHENA. Please Contact your local CAD-PLAN branch or sales partner.